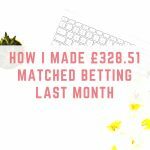 Matched betting has been a really great side hustle for me, and I make £12,000 in my first year of matched betting. 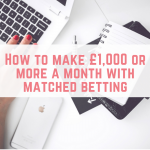 Even now, I dabble in matched betting to make a few hundred pounds a month, more than two years after starting! The Cheltenham Festival is one of the best events in the year for profiting from the festival. In fact, I made £552 over the 4 day festival. 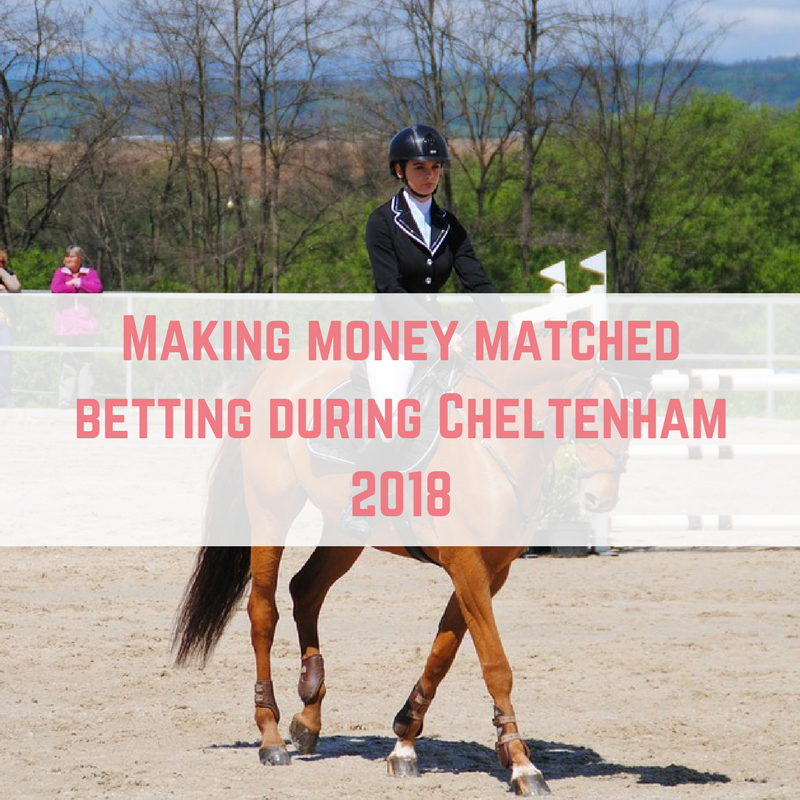 In this post we are going to look at how matched betters can profit from Cheltenham 2018. What is Cheltenham Festival 2018 and when is it? The Cheltenham Festival is an annual horse racing event held at Cheltenham racecourse. Over the 4 day period (from Tuesday 13th March to Friday 16th March) there are a total of 28 horse races. Why is the Cheltenham Festival so profitable for matched bettors? The Cheltenham Festival has lots of races with lots of media coverage, with many races appearing on ITV. In order to entice people to place bets, bookmakers will be offering lots of free bets or other incentives. 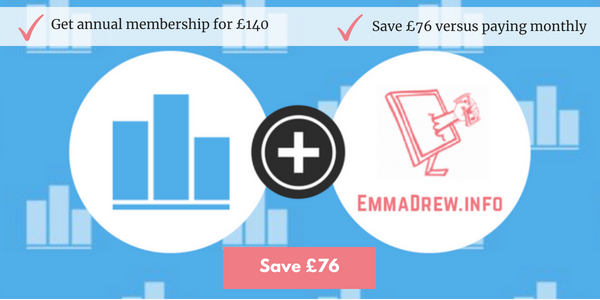 As matched bettors, we can utilise these offers to guarantee profit. I made a massive £552 in just 4 days during my first Cheltenham Festival as a match bettor. 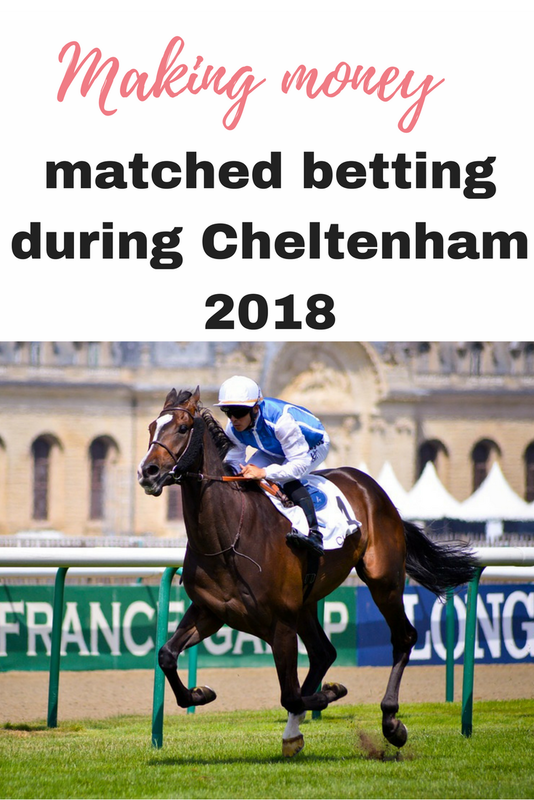 Cheltenham is a profitable time of year regardless of whether you are new to matched betting, or a seasoned pro. In order to use your time most efficiently I would highly recommend you have a platinum membership at Profit Accumulator. There are so many races during the festival that you need to be able to find offers quickly, and work out your bets equally as fast. 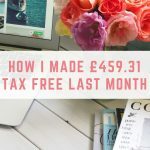 Even though I have been matched betting for years now, I still have my Profit Accumulator membership as a massive time saver. At just £17.99 a month, it is a drop in the ocean compared to the money you can make at Cheltenham. You will need to ensure that you have a good starting pot during the festival. With 28 races on, the more money you have to utilise during the festival, the more offers you can complete. Completing more offers means earning more money. 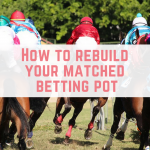 You can use your existing matched betting pot, or spend some time regrowing your matched betting pot if you have had to dip into it. 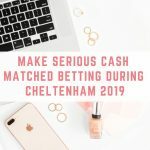 You might also want to consider using your savings towards Cheltenham, but only do so if you are 100% confident with matched betting. You will need to make some time during the festival to place your bets. Some people have even booked time off work, but if that isn't possible you are going to want to carry out offers when you can. It might mean making time before work, during your lunch break or when you get home from work, but the profits are definitely worth it. You also want to stay organised during the festival. With so many offers happening, and 28 races, you need to keep track of which offers you have completed and know where to find your free bets. My favourite way to stay on track is pen and paper, by writing out all of the races and offers I am doing. You can also use a spreadsheet if you want to get super organised. 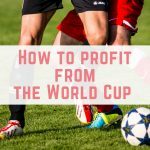 Most of all, don't forget to read all of the offers carefully, and remember to ask any questions in the Profit Accumulator forum if you are unsure. 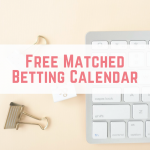 I am really excited to let you know that my matched betting Facebook group is open to new members again! 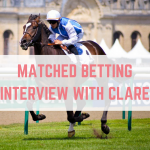 This group has over 1,200 matched betting members who support each other. It is somewhere to ask questions and even celebrate your matched betting success. We would love you to come and join in!